The Syrian war has resurrected uncomfortable colonial legacies for France and the United Kingdom. For the French and the British, whose policies in post-World War I Syria shaped the country and the region in profound ways, the 500,000 Syrian refugees who landed in the European Union last year are a personified brood of chickens coming home to roost. While neither country is exerting influence in any meaningful way to bring the conflict to a close in Syria, their historical responsibility impels them to accept Syrian refugees at home. As early as 1915, the French saw their claim to Syria as part of their “mission historique” in a land where their crusaders once tromped and fought their way through to Jerusalem. Beyond historical claims, Syria promised commercial, geographic, and strategic advantages to a country eager to draw beneficial borders in the shadow of the waning Ottoman Empire. It did just that with the Sykes-Picot Agreement of 1916, which promised the French influence and control over contemporary Lebanon and Syria, and the British with authority in current-day Jordan and Iraq. But the British outmaneuvered their French counterparts in the final division of territory in the Middle East. Prior to the opening of the Paris Peace Conference, British Prime Minister David Lloyd George had extracted concessions from French Prime Minister Georges Clemenceau to bring oil-rich Mosul and Palestine under British rule, rather than French and international control, respectively. The San Remo Conference in April 1920 solidified both French and British claims with the establishment of the mandate system, leaving governance of these territories to their respective colonial power. One month before San Remo, however, the Syrian National Congress had declared independence and announced Faisal as the country’s constitutional monarch. This was the same Faisal whose father, Hussain, had been promised an Arab kingdom by the British in exchange for his armed support against the Ottomans in the Middle East during World War I. But the British backed out of Syria in November 1919, leaving Faisal to face the French alone. Reeling from the betrayal of the British, Faisal was soon overwhelmed by the French. The French entered Damascus on July 25, 1920 and forced Faisal to flee. Acting with impunity, they undid all that the Syrian National Congress had done, put down resistance, and established control over the country. The French authorities exercised a divide et impera strategy that did much to create internal rifts that continued well after its troops left Syria in 1946. If the words of Victor Hugo are true that “we are children of our own deeds,” then surely we are the grandchildren of our forebears’ deeds. But just as modern France and Britain are the product of their colonial legacies, so too are the refugees seeking refuge in Europe the descendants of those first subjugated by the ramifications of colonial cartography. The French, the British, and the Syrian refugees are political progeny met at the crossroads of history and responsibility. It is time for Britain and France to take a more active role in the relocation, resettlement, and asylum acceptance of those Syrian refugees fleeing to Europe. 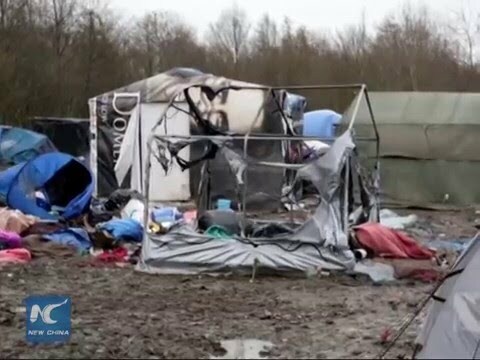 In keeping with the remarks of the European Union’s migration commissioner, Dimitris Avramopoulos, that, “It is not for migrants or refugees to choose where to go,” France and Britain should welcome those refugees who have crossed the moat of Fortress Europa. If this is indeed the position of the European Union, then two leading states of that union who bear the mantle of colonial legacies should step up to the plate and make right the wrongs that were a century in the making. Britain must accept more Syrian asylum seekers. Last December, Prime Minister David Cameron applauded Britain’s acceptance of 1,000 resettled refugees. But such a low number of acceptance in a country with such a large absorptive capacity is more travesty than it is triumph. The United Kingdom has pledged that it will accept 20,000 Syrian asylum seekers by 2020. This is hardly impressive. At a recent donor conference for Syria and the region, Britain also pledged an additional $1.75 billion over the next four years. But such distant and unsubstantiated goals speak to a lack of vision Cameron otherwise pins to 2020. France aims to accept 30,000 Syrian refugees by the end of 2017. While French Prime Minister Manuel Valls has said that his country “will not welcome all the refugees of Europe,” no one is asking France to do so. But what should be demanded is greater acceptance than that currently on offer. While France is less attractive than Germany to refugees for various reasons (long application processing times, high unemployment, entrenched xenophobic attitudes, etc. ), it can bear more than it claims that it can. Demolishing large sections of the “Jungle” refugee camp in Calais without providing better alternatives is hardly a step forward. The bottom line is that Britain and France must do more to help assuage the refugee crisis in Europe. While a host of asylum seekers are traversing the continent from a host of countries, particular attention should and must be paid to those from Syria. It is the land of Sykes-Picot, and its embattled population are the descendants of colonial pawns. While Britain and France cannot un-write history, they must now seize the moment and undertake a “mission historique” rooted in historical responsibility to assist the Syrian refugees.